The adoption of Saudi Arabia's second development plan called for the creation of two major industrial cities to fulfill the goals of the industrial development plan. 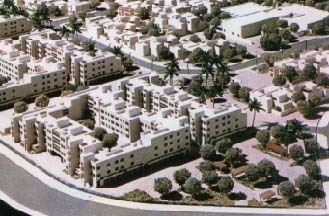 To provide part of the construction support and infrastructure needed by the industrial City of Yanbu, located on the coastal plain of the red sea, 300 kilometers north of the city of Jeddah, the Royal Commission for Jubail and Yanbu implemented the planning, design and construction of the 1100-unit R1-R2 residential community. 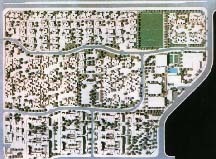 The services included the preparation of alternative Master Planning and Building Concepts, Final design & technical support during construction.